With some poor results over the festive and New Year period for Aston Villa, head coach Dean Smith finally saw his side return to winning ways as we welcomed former manager Paul Lambert and his Ipswich Town side to Villa Park last Saturday. There were improvements and our chance creation on the day was far better than it had been, but equally there were some of the same flaws on show, so we remain very much a work in progress. A brace from on loan Tammy Abraham did give the fans something to cheer about though as we took the 2-1 victory and Villan57’s player ratings were slightly more positive than our last fixture. Forum Thread – Aston Villa v Ipswich Town – Match Thread – Sat 26th January, 3pm – Click Here. Could have, should have, but in the end, we were encouraging the ref to blow the final whistle. Definitely one of those ‘a win is a win’ games in the end. My view of how the players performed as individuals coming up. Kalinic: 6 Doesn’t give me the jitters, looks more confident than the last guy. What was that booking about referee? Surely has to be rescinded? Hutton: 6 Better than of late and went on a few of his mad runs second half. Elphick: 6 Cool head at the back looked ok to me. Not the long term answer but the best we have currently. Chester: 4 He was poor and liability yet again, how bad must Hause be if he can’t oust Chezzy at the moment. Taylor: 4 Looks timid, afraid to have the ball, hopefully, this is his last game. Whelan: 6 I thought he did well, tried to drive us forwards which is not his game. Much maligned on here by some but the hard nut every team has. Hourihane: 5 Would have been a 4 but Stato got a free kick right that again means he’s beat McGinn as our top midfielder. Sorry but this lad is a bottler. How can a central midfielder be afraid of the ball? 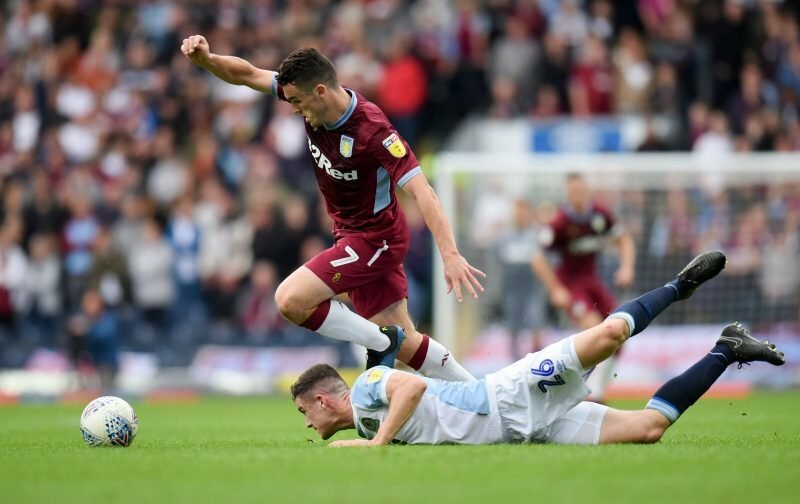 Super John McGinn: 8 Thankfully he doesn’t need Stats to justify his place. How he never scored a hat-trick only he will know. Another all action display from him. Need to get Super added to his name by deed poll. Albert: 6 Looked a bit more like his old self but faded and Deano took the easy option to sub his wide player yet again. Tammy: 8 along with SJM he is carrying this team, should have had another 4 today. I can see him getting 30 this season, let’s hope it’s enough. El Ghazi: 5 He wears gloves and long sleeves under a short sleeve shirt, need I say more. The talent is there but the Kahunas not so. Subs: Elmo, Koj and Jedi, I’d give them all 6 for effort. Coach Smith: 6 Strange subs but got there in the end, just.